Looking for fall clothes deals? 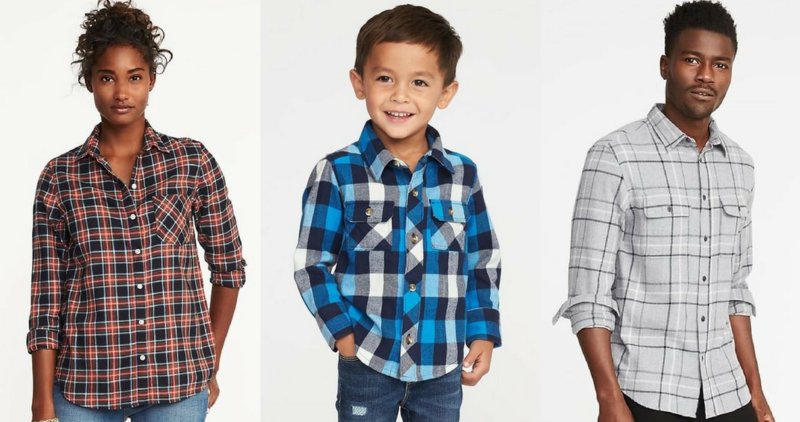 Through tomorrow, Old Navy is offering up kids Flannel Shirts for $12 and Adult sizes for $15 (reg. up to $29.99)! Shipping is free with a $50+ order. Offer ends tomorrow, 10/26.